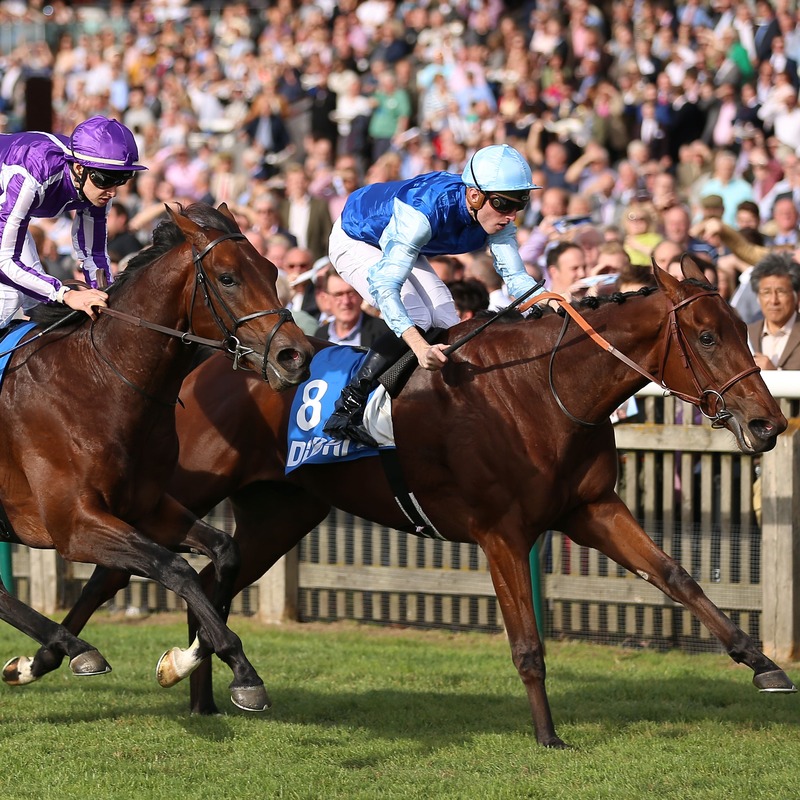 French raider Persian King saw off Aidan O’Brien’s Magna Grecia to claim a thrilling renewal of the Masar Godolphin Autumn Stakes at Newmarket. Following successive wins at Chantilly in September, the Andre Fabre-trained Kingman colt was the 6-5 favourite to complete his hat-trick and enhance his growing reputation in this Group Three contest. Massam took the eight-strong field along for much of the one-mile journey before Magna Grecia’s two stablemates Circus Maximus and Western Australia moved to the front in an attempt to raise the pace. Persian King and Magna Grecia followed them through before drawing clear to fight it out racing inside the final furlong. Both juveniles gave their all, but with the rail to help, it was Persian King who claimed a neck victory in the hands of Pierre-Charles Boudot, with the pair three lengths clear. The winning rider said: “He travelled easily into the race. The pace was perfect for my horse. “Today was a test with the Group horses and he did it well. Anthony Stroud, representing winning owners Ballymore Thoroughbred Ltd, said: “He is a nice horse that had won his last two races. The jockey said he really handled the ground well and he seemed to stay very well. “It was a tougher race than one thought. He showed a lot of courage in winning. Magna Grecia was chased home by his stablemates Circus Maximus and Western Australia respectively. O’Brien said: “We are delighted with them. Magna Grecia won nicely at Gowran 13 days ago and we had no problem running him again.